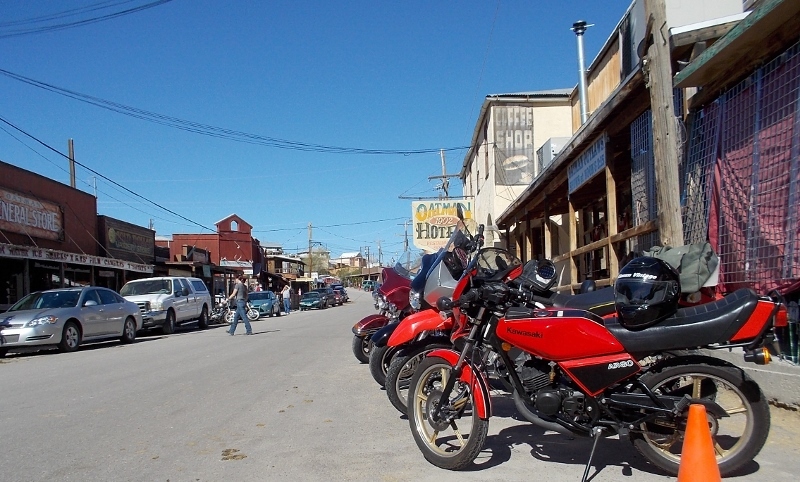 Inviting all Tiddler motorcycles with less than 30hp on a 120 mile tour of 25/55-mph “Old-Rt66” roads. The one-day ride route is low speed and low traffic with great scenery. VJMC will provide full chase/sag wagon services for all paid entrants. 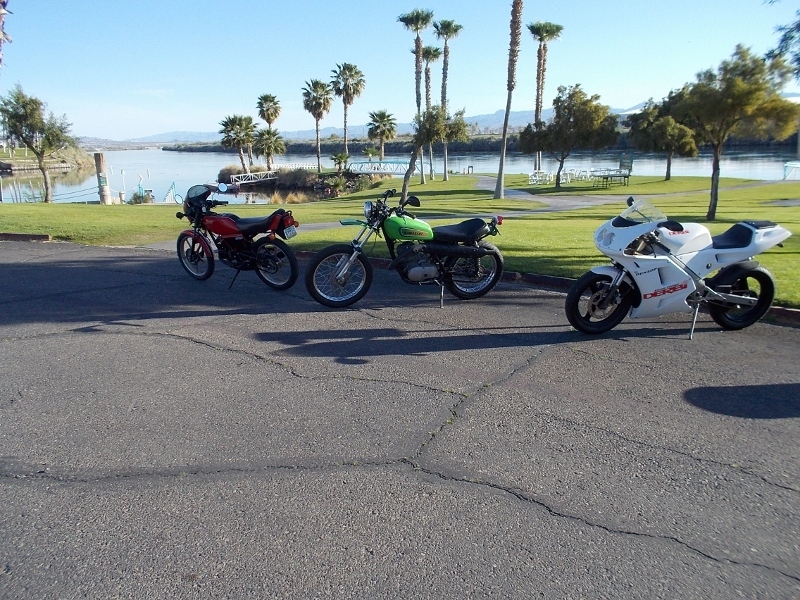 Home base, and start point is the Avi Casino, on the Colorado River, in Laughlin Nevada. The AVI Casino offers free dry camping, $26 full RV hookup camping, and very comfy rooms of $70-90. 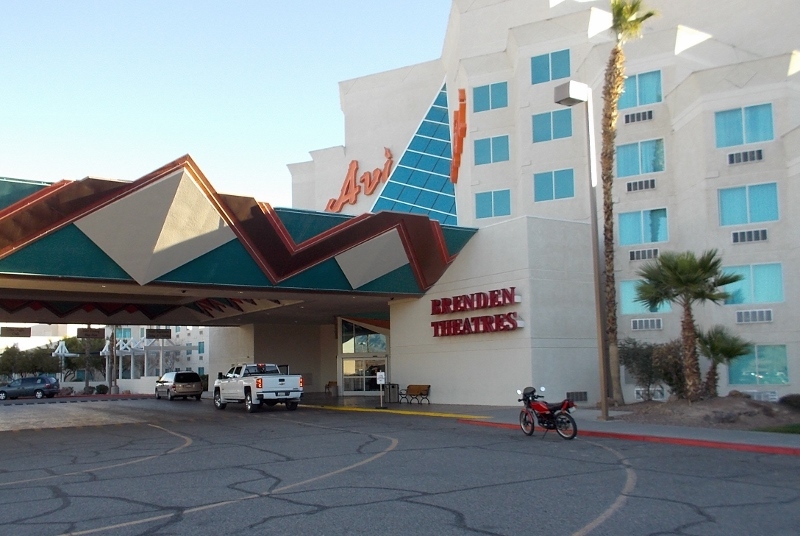 The Casino offers dining from Subway to five-star, and there are nearby full-service grocery stores as well as fast food. The 120 mile, 4 leg ride will be a 10am-4ish affair. The ride starts at 400 feet altitude, and peaks at the main destination (52 miles out, 3600 feet) in Kingman Arizona. The restaraunt is offer a room to accommodate our group for lunch, and a limited lunch menu that assures quick service for a large group. After lunch, we will head back down the same route to the start point. We will make mid-way stops each direction to allow folks photo-opportunities and brief off-seat time. We will also stop for fuel/restrooms at 24 miles, and 68 miles out from the start point. We will make regular “roadside running-stops” to help keep the group somewhat gathered. If the turnout is large enough, we will designate an A and B riding group. While we welcome all tiddlers, we recommend that your bike be at least capable of a sustained 45mph. Our ride route is all smooth rural roads (no freeways) with speed limits of 25-45mph, and a short 55mph section. There are no long steep hills, but there are a few short steep hills. The good news is that the steepest sections are 15-25 mph speed limits. We recommend that the smaller bikes start out with a full tank of race or Av gas to help reduce the engine temps, and survive the grades. The chase truck will be glad to carry your race gas if you like. The mostly downhill return ride will be very easy on all the engines. Awards will be offered only to bikes over 25 years old, and under 30hp. All machines must have current registration and insurance. While Arizona does not require helmets, we strongly recommend them. Eye protection is required by law.